Sage Intacct helps businesses save a lot of time and money with their top rated accounting software. But it’s difficult to realize the visionary that they are when the content on their website is hard to digest. Our first task was to greatly improve the layout and design of their homepage. 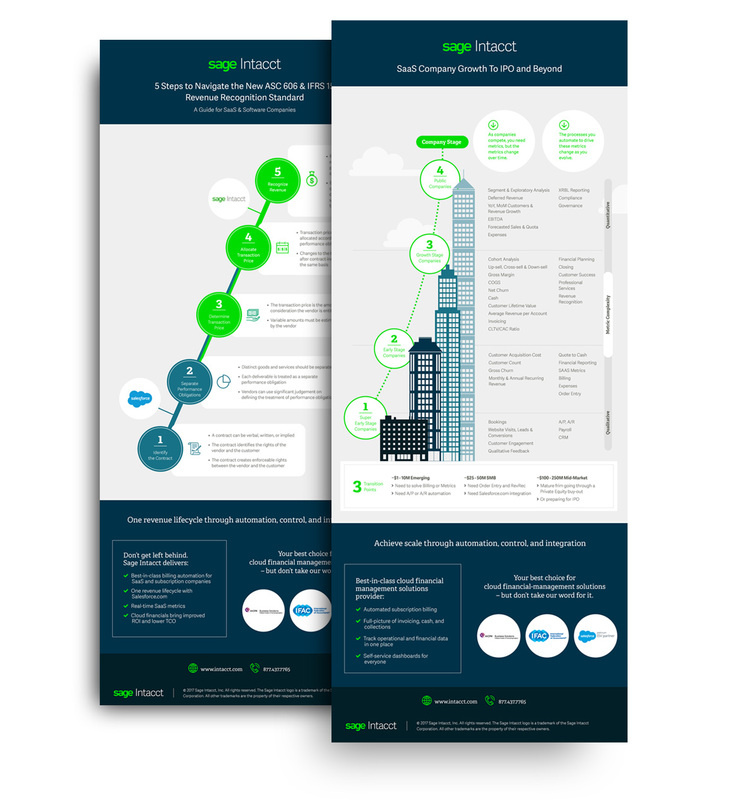 As a second project, they wanted to transform a lot of information they had (slides, charts, Excel sheets, and Word docs) into a series of infographics. 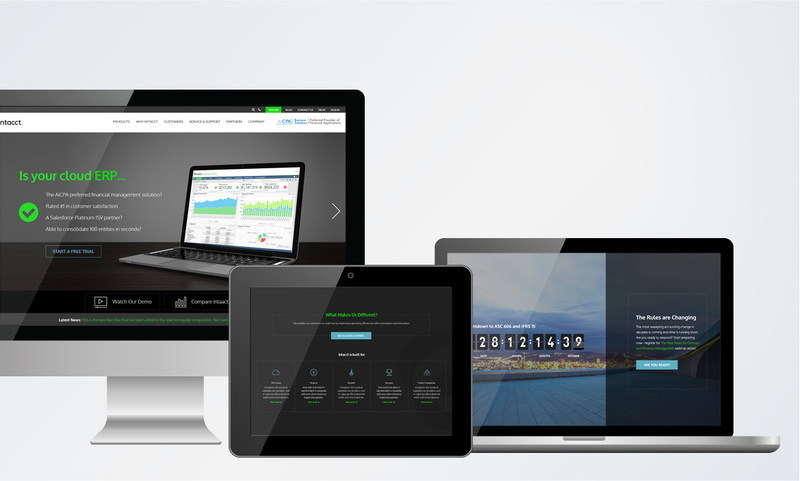 On the web front, Sage Intacct only wanted to focus on improving their homepage, rather than the entire site. We ended up with a clean design with much needed breathing room, making their story a lot easier to tell. The infographics were designed with content consumption and aesthetics in mind. 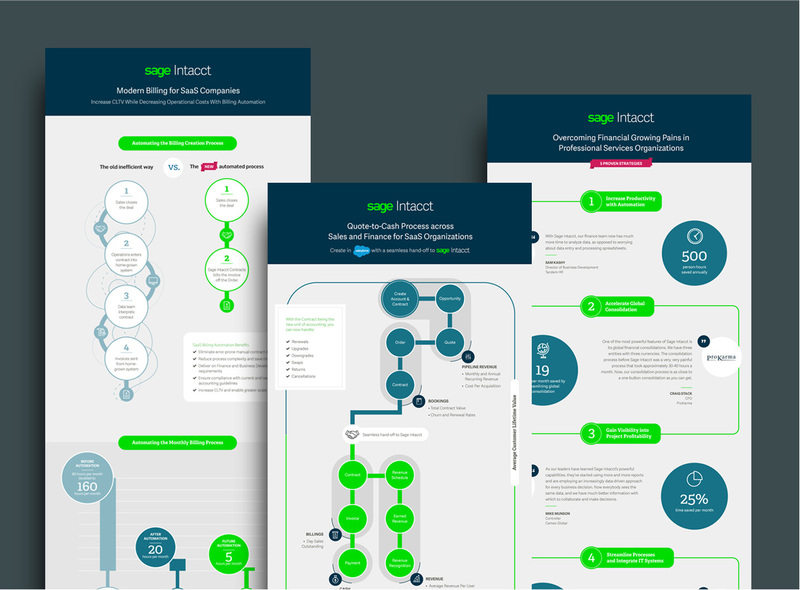 These were so well received by the Sage Intacct team that a request of three infographics quickly grew to eight. For more information, please contact us.